I was listening to the radio the other day and heard them talking about the ongoing series of American Idol. The view numbers are decreasing, and they claimed an American Idol fatigue – the number of artists having performed the same covers starts to be too many. It’s not new any longer. I know what might be the next big thing. It’s recently been pitched in Sweden. And I won’t say more. Just yet. Can’t wait for it to be created and cross the boarders. What is similar to American Idol, and is still going strong, is the Eurovision Song Contest. The difference is that the artists participating compete with a new original song, representing their country, voted by the countries and the populations. I wouldn’t say that it is as ingrained in our Swedish culture to watch the national Melodifestivalen, leading up the Eurovision Song Contest Final, as it is to watch Donald Duck 3pm Christmas Eve – but very close. Here in the U.S., a Norwegian friend hosts an annual party the evening of the final with a replay of the event. Norway won 3 years ago. There are clear and strong instructions to stay out of Social Media and news, so that we don’t know who the winner is… With the new feature of starred Facebook friends, and automatic notifications of their updates on my phone, I didn’t succeed to avoid my cousins shout out real time in Sweden… but it was fun to watch. 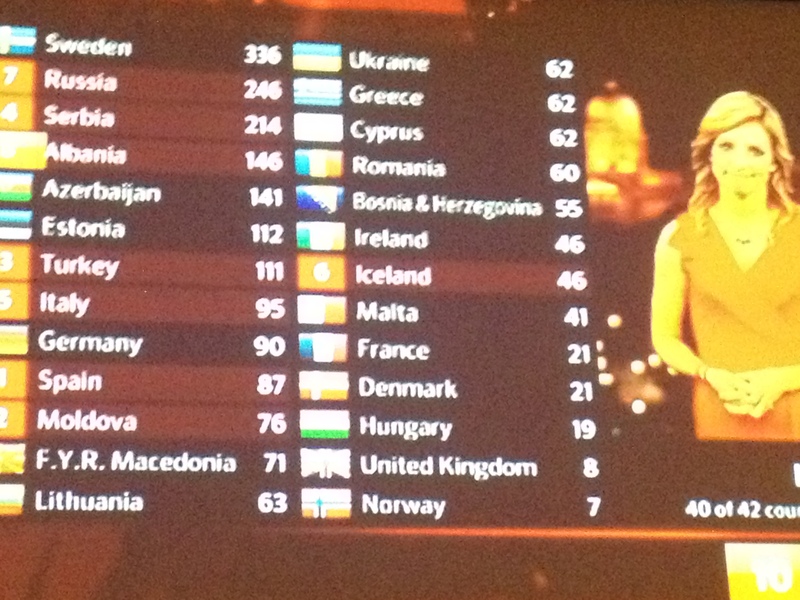 And here is the winning song, “Euphoria” with Loreen from Sweden. Why, why can’t this moment last forevermore? No, don’t ever stop doing the things you do. We’re higher and higher and higher, we’re reaching for divinity. Blog Recipes Finder on My Word is Law.